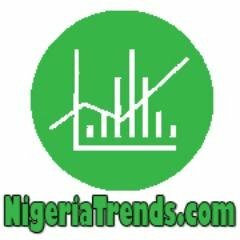 NigeriaTrends.com — Trending this weekend is the touching story of Nigerian born Temitope Alao, who traveled to the U.S and gave birth to triplets at a Brooklyn Hospital. The Nigerian woman has been trying to conceive for about 6 years and God finally blessed her womb with triplets! ??? However, the triplets were born prematurely. ??? According to NY Daily News, Temitope Alao (34 yrs old), gave birth to the 3-pound bundles of joy at Woodhull Hospital Thursday morning, about eight months into her pregnancy. The triplets born are, a girl, Temiloluwa, and two boys, Oluwafikayomi and Ifeoluwa, were welcomed by the family in a special way. They are premature triplets. Present in the delivery room was Afolake Alao, 58, a longtime registered nurse at Woodhull Medical Center and the trio’s grandmother. Afolake Alao said she insisted that her daughter-in-law, who had been trying to conceive for six years, come to the United States for the delivery. “I knew she would get good care here,” she told reporters during a press availability at the hospital Friday. Alfolake Alao (center), 58, is a nurse at Woodhull Hospital and helped her daughter-in-law Temitope Alao (r.) deliver triplets on Thursday. Alao traveled to New York with her mom Adejoke Ogunrinde (l.). NY Daily News revealed that Temitope Alao made the trip with her own mother, Adejoke Ogunrinde, on Jan. 21. The family will return to Nigeria when the babies are old enough to travel, they said.